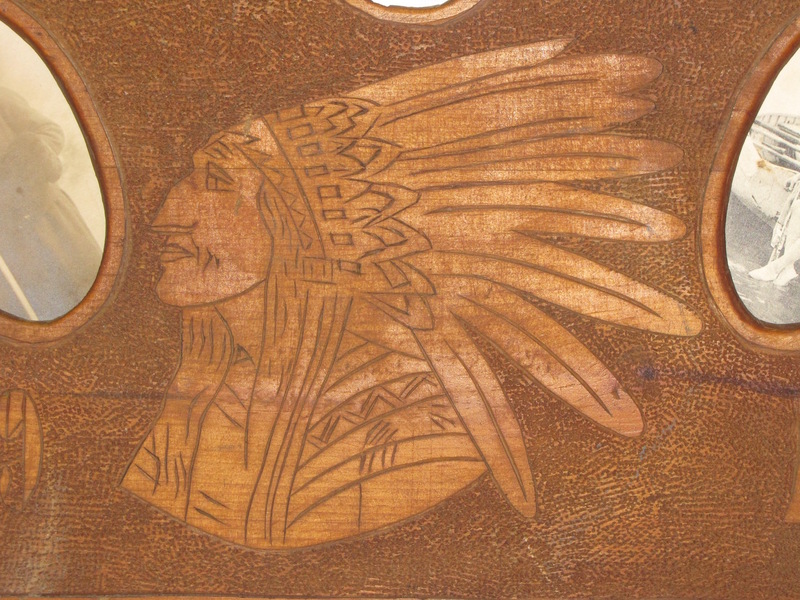 A chipped carved and decorated frame made by a prisoner-of-war in Fort Henry, Ontario. In WW I the fort was used as an internment camp for German prisoners. 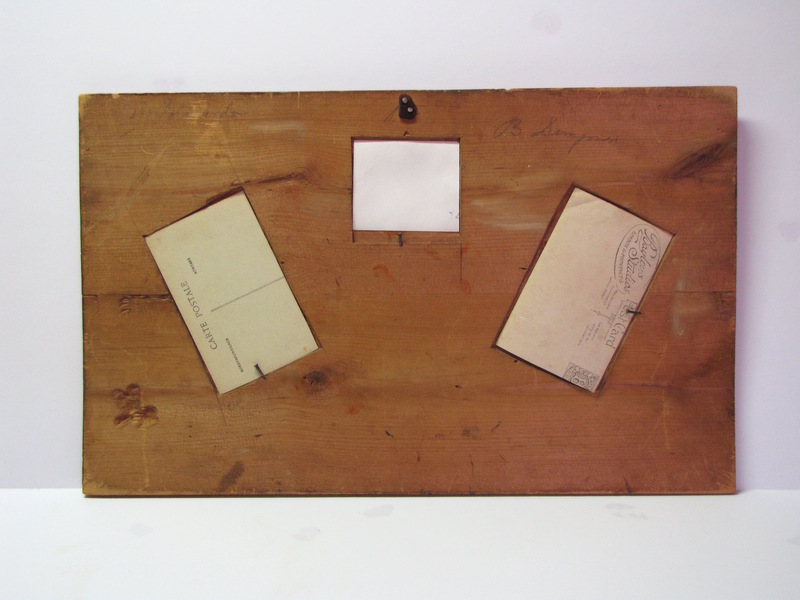 A number of these frames and other works were produced in that period. 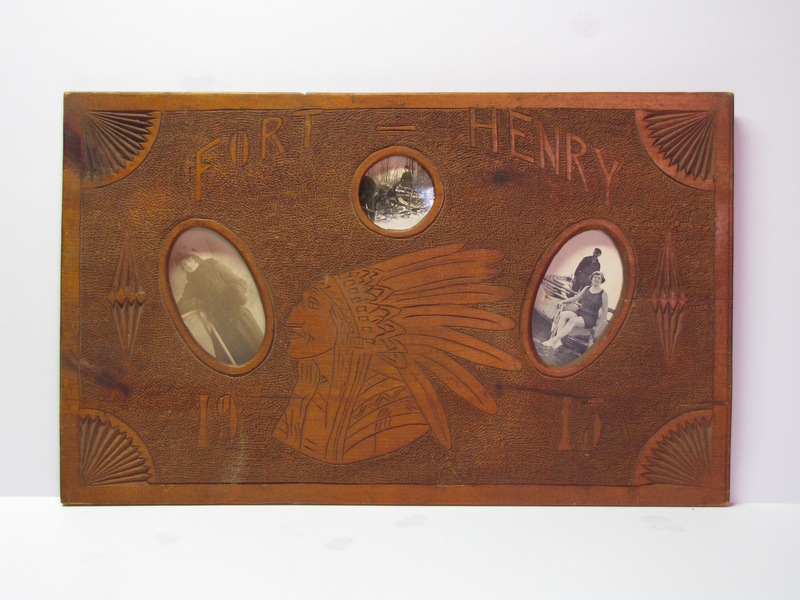 The frame is decorated with an Native portrait in head dress, the name FORT - HENRY, the date 1915 and chip carved fans. The pictures are likely not original but suit the frame. A good piece of folk art with a relevant historical connection.